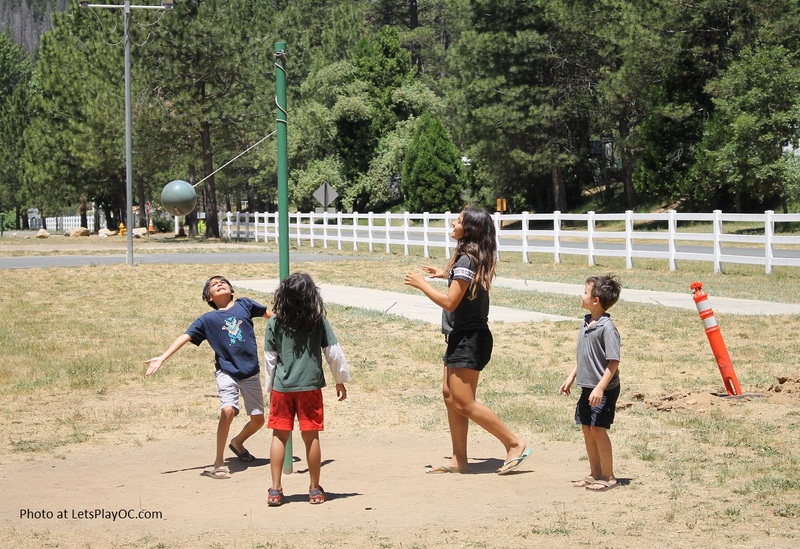 GoRving Thousand Trails - Yosemite Lakes RV Resort - LET'S PLAY OC! 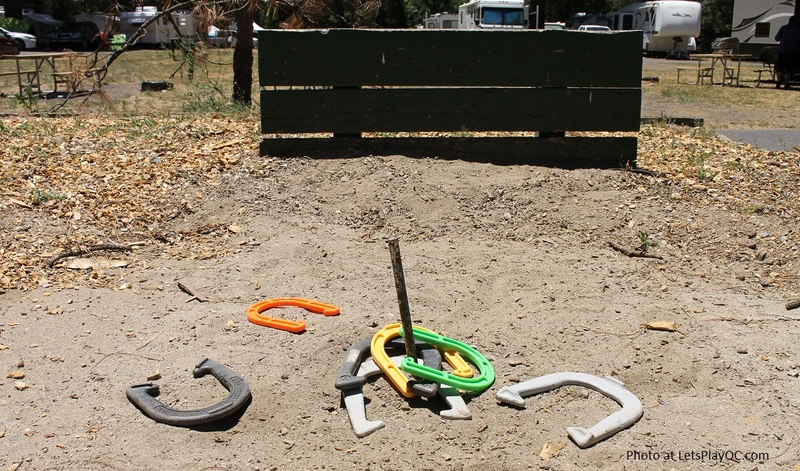 Post written by me for Go RVing and Thousand Trails. All opinions are my own. Right now my kids are enjoying their camping adventures. They think it’s really fun to stay in a tent, go fishing, play in the streams with other children, make bonfire s’mores and walk around with flashlights. We’ve only tried tent camping, and I have heard once you go RV’ing, you might not go back to tent camping. 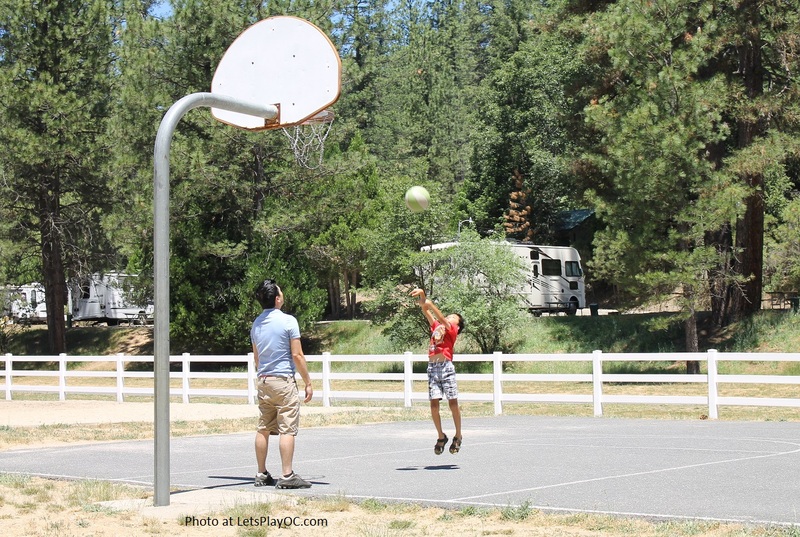 This year for Father’s Day Week we visited Yosemite National Park and had an opportunity to stay in one of the park model RVs at YOSEMITE LAKES RV RESORT which is a Thousand Trails destination. (Park model RVs are built on an RV chassis and towed to their final destination. 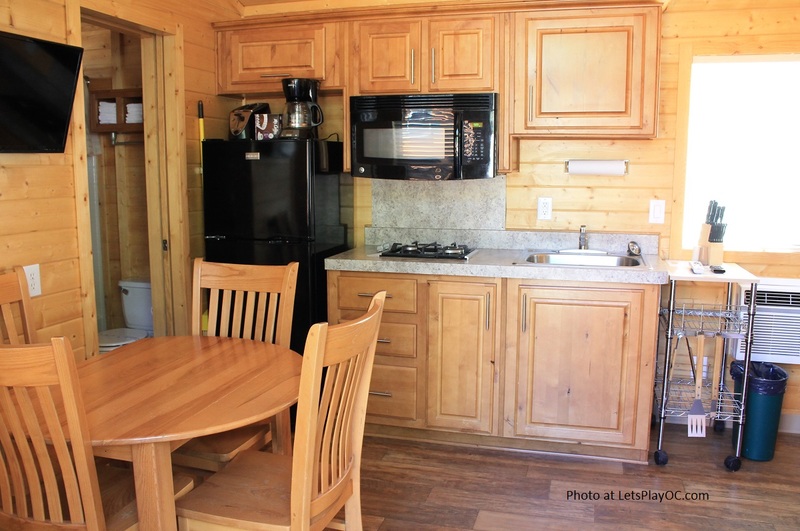 They look like a cottage and offer everything you need to try out the RV lifestyle without buying all the gear.) 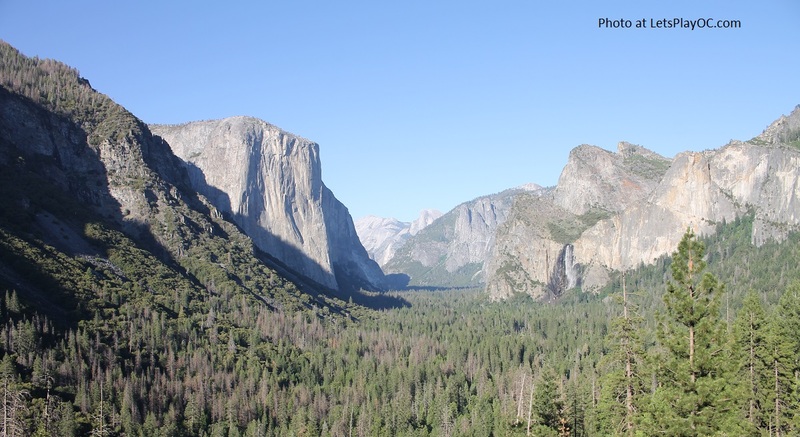 If you have not visited Yosemite by now, it is one of those places you need to add to your bucket list. After you go, you will want to go back and see more. The drive from Orange County was about 7 to 8 hours. 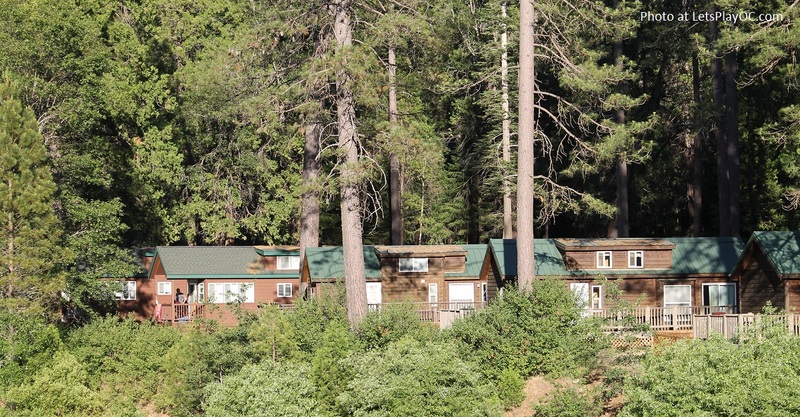 The RV Resort is located 5 miles from the West entrance of the National Park. 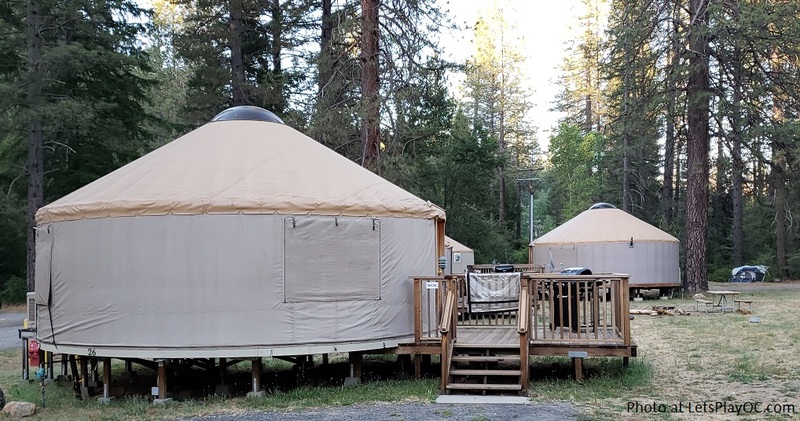 It is not the fastest route to Yosemite (because we would normally enter the south entrance), but it is worth it because it is located very close to the entrance. We went to the park every day we were there, and after an eventful day of exploring, we welcomed the fact that we didn’t have to drive so far to get back to our site to start on dinner and to rest. Since we were traveling with other families, we combined all our tables and made it our common area where we had all our meals together. 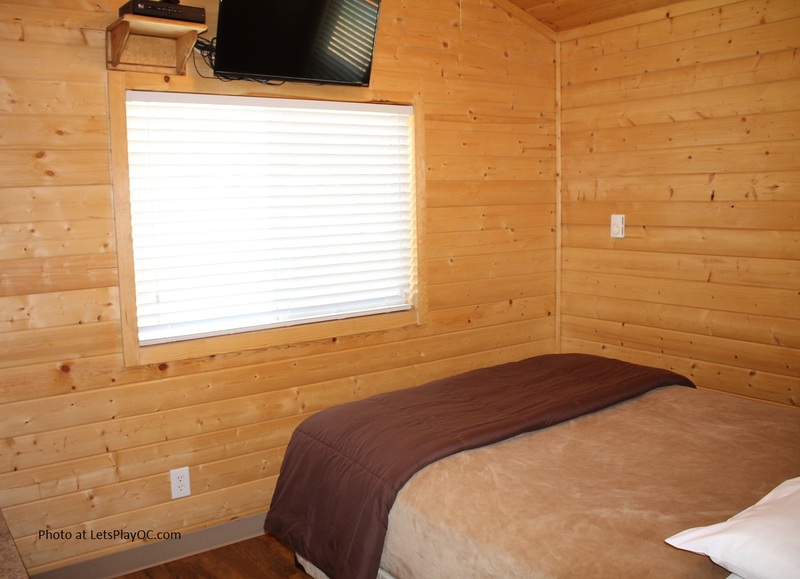 We are usually tent campers so the cottages are luxury camping for us. 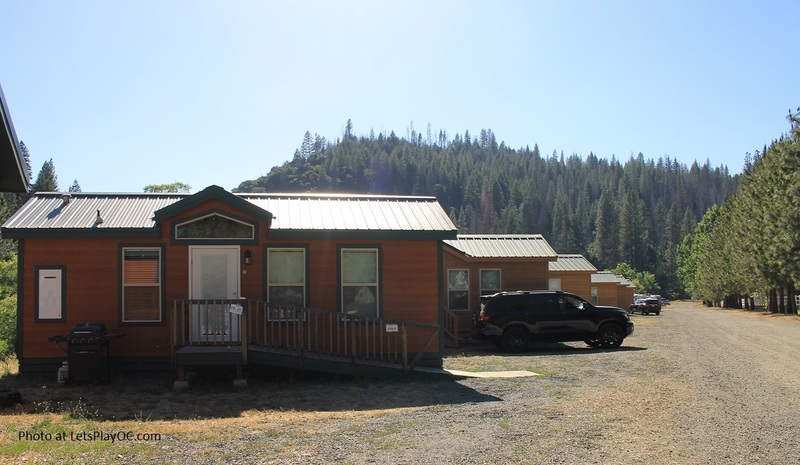 It was fully loaded with two bedrooms, a full kitchen with pots & pans, toaster, microwave, dishes & utensils, cups & glasses, a full bathroom, air conditioning & heating, satellite TV, bath towels, outdoor BBQ grill, a picnic table, and running water. All we needed to do was bring the groceries and our camp gear. 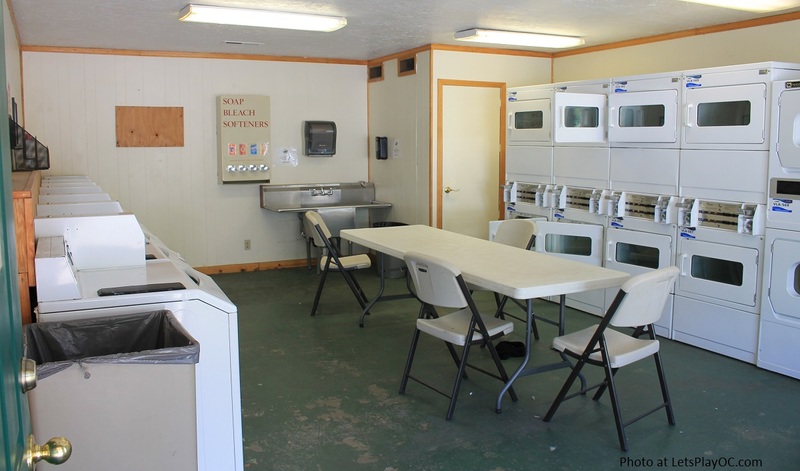 Dish soap and toiletries like shampoo, conditioner, and soap were also provided. Only thing missing was an oven. It even had a can of ant spray underneath the sink. We packed things just in case but didn’t use most of it. They even provided the bedding and bath towels. 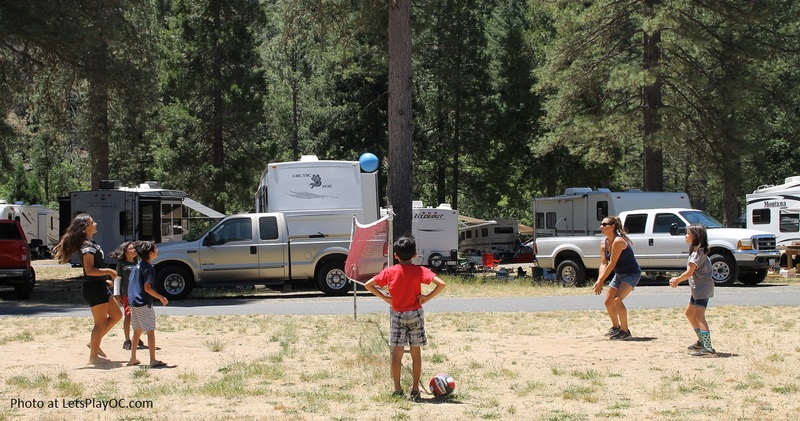 Yosemite Lakes RV Resort had campsites for all levels. 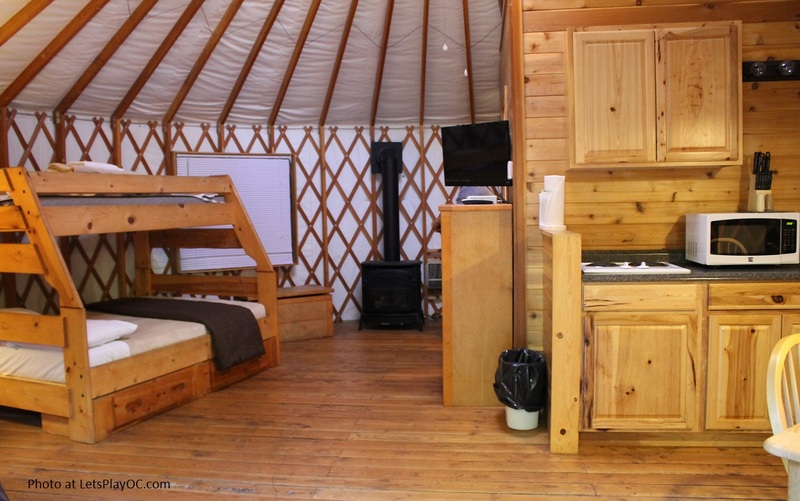 They have designated space for tent campers, cabins, cottages, bunkhouses, RV’s of course, Yurts, and even hostels. We usually tent camp, but after staying in one of the cottages, we felt totally spoiled. It will be hard to go back to tent camping for sure. My husband’s cousin brought his RV, and all the kids thought it was cool too. His kids all had their own bunk beds. 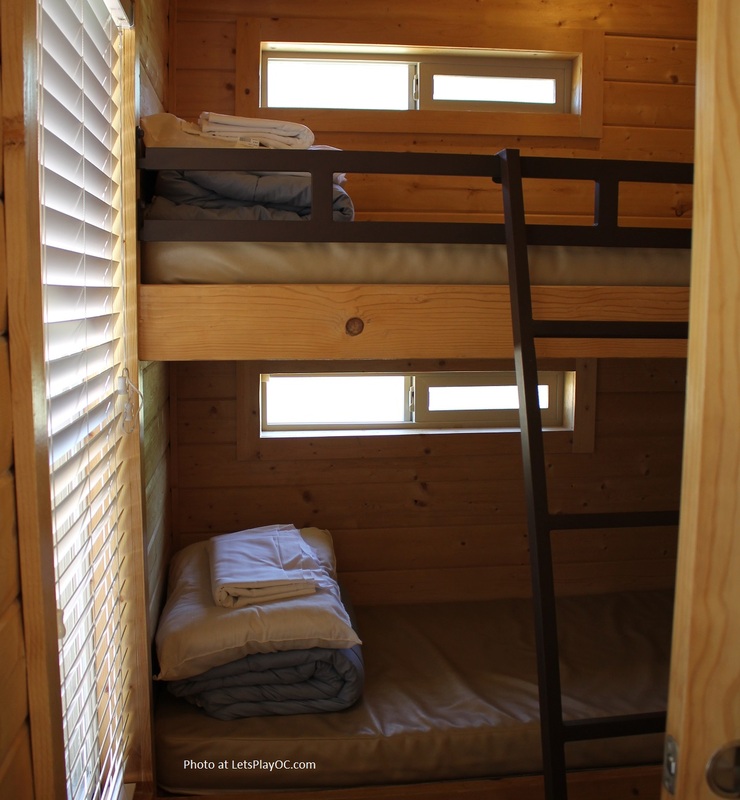 We had our own set of bunk beds in our cottages as well as a pull out. A few times we had movie night under the stars with a bonfire. Hint: The Family Lounge have movies you can borrow for free. Some of the titles are oldies but goodies. 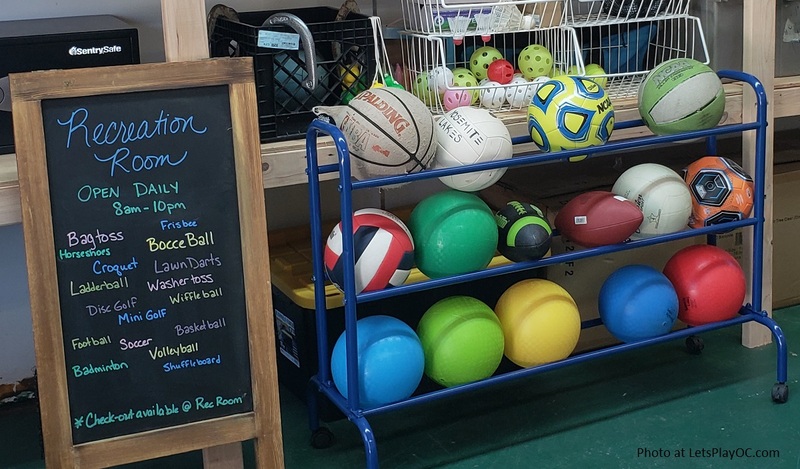 Even though we were at the park every day, there are plenty of free things to do on the premises without leaving the resort. Between all the families we traveled with, we had 12 kids and their ages ranged from 7 months old to teenagers. They each had a buddy to play with, and there was something for everyone which was awesome. 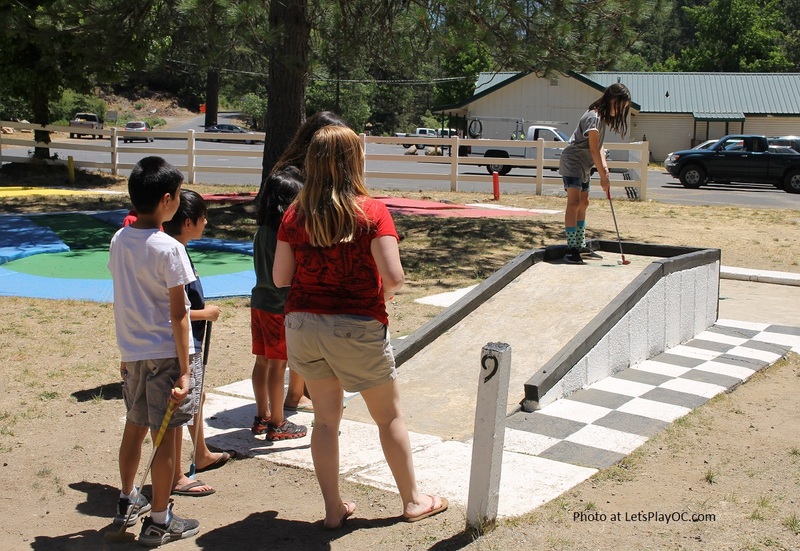 It had free activities like mini-golf, horseshoes, basketball, volleyball, tether-ball, badminton, giant Jenga, shuffleboard, nature hiking trails, and more! There is free limited WiFi in the Family Lounge. 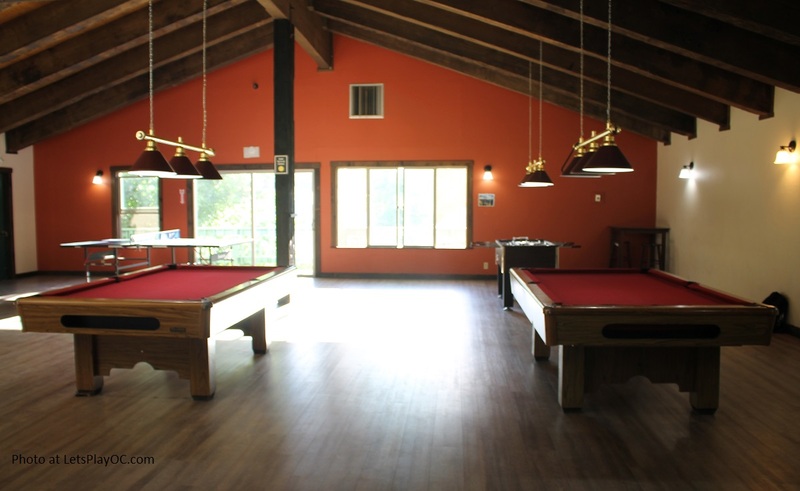 There is also a kiddie area for small children, a chess table, a fireplace, free movies and board games to borrow, and billiards on the 2nd floor (must be 18+). 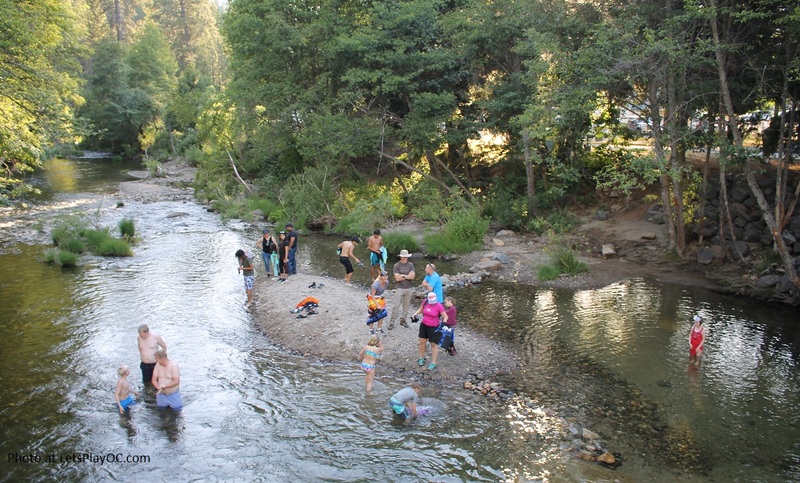 There is a stream for fishing and swimming. They drop fish every Wednesday morning. In the summer, they have Movie Night on Fridays, and live entertainment on the weekends. You can see a full list of events on their online calendar. My group and I did menu planning. You can read my post here for meal planning ideas, recipes and tips. As mentioned earlier, the cottages have pots and pans, serving utensils and dishes. They even had dish soap and sponge. I brought a lot of stuff just in case but didn’t end up using some of it. Here are some suggestions of things you can bring if you are staying in a cottage to make your stay even more comfortable. A bag of charcoal (if you are grilling.) If you are traveling with a large group, have everyone bring a small bag for communal usage. Ziplock bags in various sizes for storage. Aluminum Foil for the Grill. Grilling sticks if you are making S’mores. Your perishables/groceries (We picked up supplies at the closest major town one hour before our destination, but they also have a small grocery store). Folding chairs or a picnic blanket. Lately we have been more intrigued to explore more beautiful National Parks here in America. There are hundreds to choose from, and all are uniquely different making it hard to decide on which one to do next, but visiting the local ones seem more obtainable at the moment. Camping with Go RVing and Thousand Trails was definitely unique and encouraging. It has changed how we know camping. After this trip, we definitely want to see more national parks and with other family members. We had a lot of inquiries about the cottages and the resort, and almost everyone had the same reaction. They were surprised a cottage with air conditioning exists. The rates at the time for the cottages that sleep six was about $260/night. I think the best time of year to visit any national park is during Father’s Day Week. We have done it two years in a row and so far, it has been great. Not too crowded, kids just got out for the summer, and if you are chasing water falls, some of them are still going strong depending on how much snow it got in the winter. I think it could also be because most are saving their vacation time for 4th of July week. My husband’s cousin, the one with the RV, is a new RV owner. He has had it for about two months. They gave him a one year free membership with Thousand Trails. This one was included, and he said this one by far is the best one yet. To learn more about GoRving or Thousand Trails, please visit their website below.